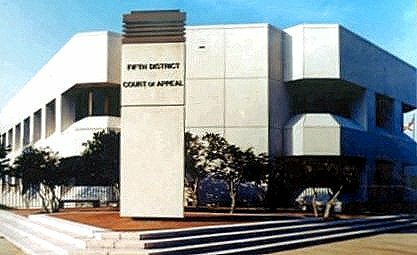 With so many mortgages having been sold off by their original lenders to other lenders during the foreclosure crisis, a ruling last week by the Fifth District Court of Appeal provides clarification as to whether subsequent assignees of the original first mortgage are entitled to the “safe harbor” limitation for past due assessments. The opinion affirms that subsequent mortgage assignees of the original first mortgage of a property are entitled to the safe harbor limitation of the lesser of twelve months of assessments or one percent of the original mortgage debt. In the case of Beltway Capital, LLC v. The Greens COA, Inc., the Fifth DCA reversed an order by the trial court granting the association’s motion to determine amounts due. The association had successfully convinced the trial court that because the law states that the safe harbor caps are limited to the “first mortgagee or its . . . assignee,” it excludes Beltway because it was not a direct assignee of the original lender. The original mortgagee was MERS as nominee for First National Bank of Arizona, and MERS assigned the mortgage to a GMAC entity which subsequently assigned it to Beltway. Beltway correctly notes that the first fatal flaw in both the trial court and The Greens’ construction of the statute is their equation of “first mortgagee” with “original lender.” Neither section 718.116 nor any other part of the Condominium Act define the term “first mortgagee.” Black’s Law Dictionary defines the term “first mortgage” as “[a] mortgage that is senior to all other mortgages on the same property.” Black’s Law Dictionary 1102 (9th ed. 2009). In contrast, a “second mortgage” is one “that is junior to a first mortgage on the same property, but that is senior to any later mortgage.” Id. at 1103. A “mortgagee” is “[o]ne to whom property is mortgaged; the mortgage creditor, or lender. — Also termed mortgage-holder.” Id. at 1104. Thus, a “first mortgagee” is simply one who holds the first mortgage, whether that be the original lender or a subsequent holder. The modifier “first” refers to priority of lien, not necessarily to the first in time . . . For example, a person who acquires a first mortgage from the original lender after a second mortgage has been executed is still considered a first mortgagee because he or she holds a higher priority mortgage despite acquiring it later in time. Accordingly, since Beltway held the first mortgage at the time it acquired title by foreclosure, it was entitled to the safe harbor protection as a “first mortgagee” under Section 718.116(1)(b), Florida Statutes. While this ruling is detrimental to community associations, it does help to clarify an important issue concerning the liability of lenders where they acquire title to property in foreclosure actions. Thus, with this ruling, community associations can better plan their budgets and legal strategy as the foreclosure crisis nears its end.